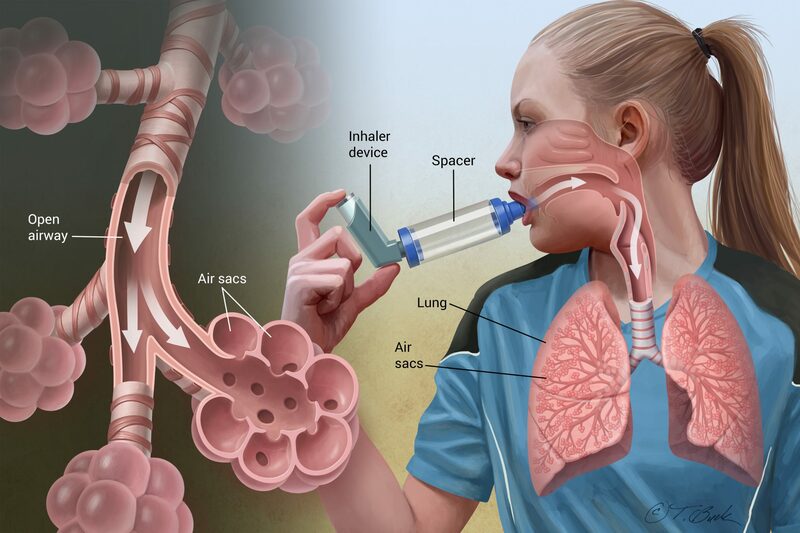 Asthma is a condition where the airways swell, become narrow and produce excess mucus. This results to wheezing, coughing, shortness of breath and difficulty in breathing. Asthma cannot be cured. However, symptoms can be controlled with properly administered medication. Since asthma changes over time, it is advisable to constantly keep track of the signs and symptoms, so that treatment can be adjusted accordingly. Exposure to chemical triggers present in perfumes, hair products and so on. Asthma has no cure. The only sure way of staying away from asthma attacks is by taking medication and avoiding asthma triggers. It is also advisable to get vaccinated for pneumonia and influenza as they trigger asthma flare-ups. Lastly, continuously monitor your breathing. If there is a change in the way you breath, for instance shortness of breath or slight wheezing and coughing, then it would be prudent for you to visit the doctor for checkup.